While talking exclusively to Fightful, Abyss revealed exactly what it was about Impact Wrestling that led to him making the decision to re-sign with the company and not move elsewhere. Abyss is one of the performers that has become synonymous with Impact Wrestling, having been from the company since its inception, making him the longest serving active wrestler the company has. It's kind of sad in a way that Abyss has seen most of the other long serving guys like James Storm, Bobby Roode, Samoa Joe and others all leave (mainly to go to WWE). However, he has remained loyal to Impact Wrestling and has actually resigned a deal with the company. Abyss talked to Fightful about his decision to re-sign with Impact, and he indicated that it was a particularly easy decision for him. "I've been here since the beginning, 17 years in the company. I'm proud of all the opportunities I've been given. For me it was a pretty easy decision to come back as a wrestler, and my heavy responsibilities to help out backstage and producing stuff and helping the younger talent. I love the company with all my heart, it was a no-brainer." "That show got more buzz than anything we've done in a long time. I look at it as a building block to launch us into Bound For Glory. The feeling is we're going to do some things that other companies aren't doing, to make ourselves different. I think what you saw at Slammiversary will be a mainstay of what we have going forward." Currently Abyss isn't involved in an active storyline on Impact Wrestling, but I'm sure it won't be long until he's back on our screens Blackhole Slamming people back into next week like old times! 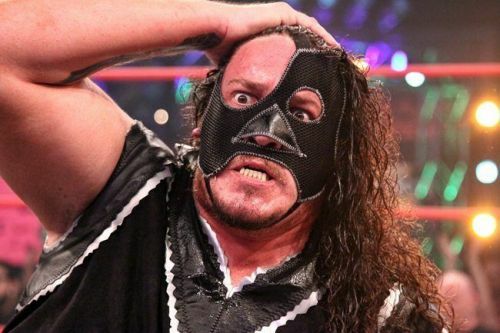 WWE/Impact News: Abyss Exits Impact Wrestling, WWE Bound?